With Nikke Blout and Tom Mikus, the internationally driven company is ready for the next wave into the future. 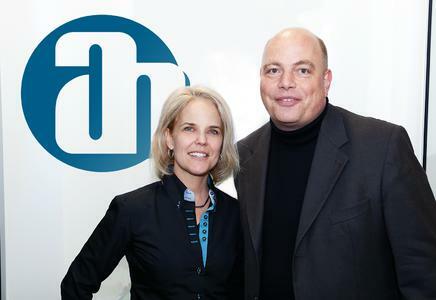 The two long-time professionals are looking forward to shaping the company in the areas of Corporate Marketing and the new Integrated Systems Division. Adam Hall Group’s new Integrated Systems Division is focussed on the special needs of the install and rental markets. Since 1 October 2015, Nikke Blout has taken over the new key position of Global Marketing Director for the Adam Hall Group. Raised in Orange County, California, Blout will plan and steer the corporate brand and communications objectives as well as develop and manage the strategic marketing initiatives across the Group’s individual brands. Blout has been living in Frankfurt for several years and her core competencies lie in the areas of brand strategy, digital marketing, corporate communications and PR. With a BS degree in International Business, Marketing and German Studies, she can look back on 20 years of experience working in global companies and agencies. Technical expertise and knowledge in the IT solutions, consumer electronics and entertainment media sectors round her profile. Nikke Blout: "Vision, product innovation and a broad portfolio in a constantly growing market as well as a strong relationship-oriented culture that fosters loyalty among customers and employees alike, are just a few qualities that immediately come to mind when I think of Adam Hall Group. You can really see all of these values once you become an insider or through personal contact. Now at the marketing helm, and within the framework of the our corporate strategy, I am looking forward to transporting these core values more prominently into the communication while strengthening our position in the marketplace." "We want to make even clearer what Adam Hall Group stands for", says CEO Alexander Pietschman. "That's why we have brought on board a top professional, Nikke Blout, as Global Marketing Director. Nikke is not only a highly experienced and passionate marketing executive, but also a talented drummer. Besides her PR and digital marketing know-how from the enterprise and agency environments, she also brings global brand management experience from her previous position working at an internationally active DAX-traded company." Since 1 December 2015, Tom Mikus is the new Global Integrated Systems Director at Adam Hall Group. Mikus’ focus is on coordinating projects of all kinds as well as on overseeing and expanding the customer base in the pro audio area, consisting of contacts in planning and AV integration in addition to rental customers. A team of professional product managers and sales representatives will assist Mikus. Mikus has 25 years of experience in this field, but also in the traditional Music Instrument (MI) market. As a business graduate, software developer and performing musician, he is considered a "practitioner with project experience". The companies at which, Mikus had his previous tenure, belong to the "who's who" directory of the pro audio industry. Mikus’ expertise covers the range from classic field sales representatives to sales and business management. Thus, this native of Bochum, Germany is the ideal candidate to take on the challenge. "I am very pleased to be working in an expanding and innovative enterprise,” said Mikus. 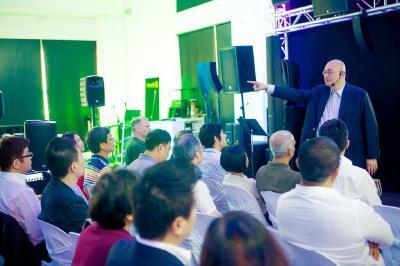 “Adam Hall Group is globally well-positioned in the ever-faster moving markets. Along with the existing and yet-to-be-expanded team, the important pre- and after-sales service can be optimally covered. For decades, the company has been, in many respects, a benchmark for a consistently growing company and I am delighted to now be part of this process." "With Tom Mikus, we have gained a qualified industry expert, who impresses us with his international network, his social skills and empathy. He is the perfect choice to build our new Integrated Systems Division with a focus on sustainable growth'', says COO Markus Jahnel. 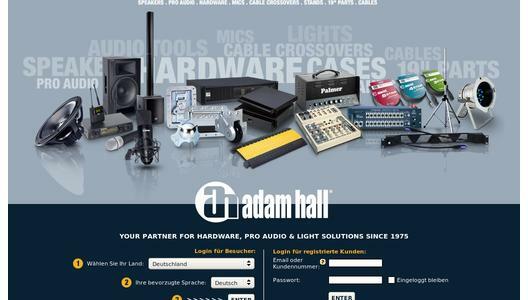 Adam Hall Group is a leading German manufacturer and distributor providing event technology solutions around the globe to business customers, including retailers, dealers, live event & rental companies, broadcast studios, system integrators & installers, private & public enterprises and industrial manufacturers. The company offers a wide range of professional audio, lighting, stage and event transport products under its individual brands of LD-Systems, Cameo, Gravity, Defender, Palmer, Adam Hall Hardware and Adam Hall Stage Equipment. With its focus on value, service and continuous innovation, Adam Hall Group recently won the 2016 German Design Award, one of the most prestigious international prizes in manufacturing and design innovation, with its LD Systems' CURV 500® series - the first truly portable array system with high-definition audio. For more information about Adam Hall Group, please visit the corporate website at www.adamhall.com.